The stable build of the operating system is available to Pixel devices and is expected to make it to other phones running on Android P Program and Android One. 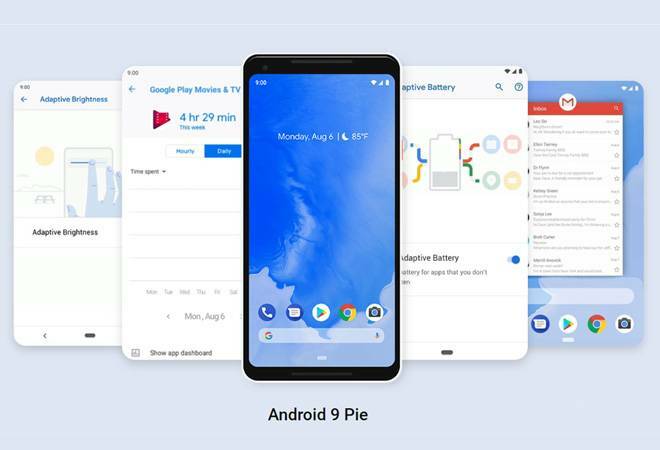 Five months after the launch of Android P, the new operating system has been finally made official as Android Pie. The stable build of the operating system is available to Pixel devices and is expected to make it to other phones running on Android P Program and Android One. Pie is one of the biggest Android updates Google has ever released. The operating system uses AI heavily and comes with an all-new navigation system that has become necessary after the advent of bezel-less screens. Another major development is the inclusion of Digital Wellbeing. For the first time since smartphone technology has caught up with the world, manufacturers and developers have realised the importance of cutting off from notifications and social media. Digital well being- Starting with the feature that might impact smartphone usage the most, Google has introduced various tools to learn about your smartphone habits and help moderate the parts that need attention. Android Pie users will be able to see the amount of time they are spending on a specific application and accordingly set timers on the apps that have a tendency of being addictive. App icons turn grey once the user reaches the time limit. The user will also get to know the total time spent on the smartphone. Gesture-based Navigation- This new feature has become a necessity after Android phones have taken to notched displays and thin bezels. The recents page will now be accessed by swiping up from the bottom. Adaptive Battery: As the name suggests, this feature learns the usage pattern of the user and then helps turn down battery consumption by restricting apps that are rarely used. Adaptive Brightness- The feature has gotten an upgrade where the phone will remember the time you change the brightness of your phone and adjusts according to the time and brightness. App actions: Similar to adaptive brightness, this feature will learn your app usage pattern as well as actions you make at specific times and then suggest those apps and actions on top of the app drawer. Slices: This feature will provide app functions without really entering them. In fact, when a user will search for a particular app, the search will prompt a few quick options related to the app, making it easier and quicker at the same time. Digital Wellbeing features including dashboard, app timers and wind-down mode are still in beta testing and won't be available right away. However, Pixel users can opt-in for a beta version at any instant. The Slices feature will also make its debut in the stable build later during the fall. Currently, the new OS will start rolling out to Pixel devices but manufacturers that participated in the Android P program are promised to receive the update in a timely manner.